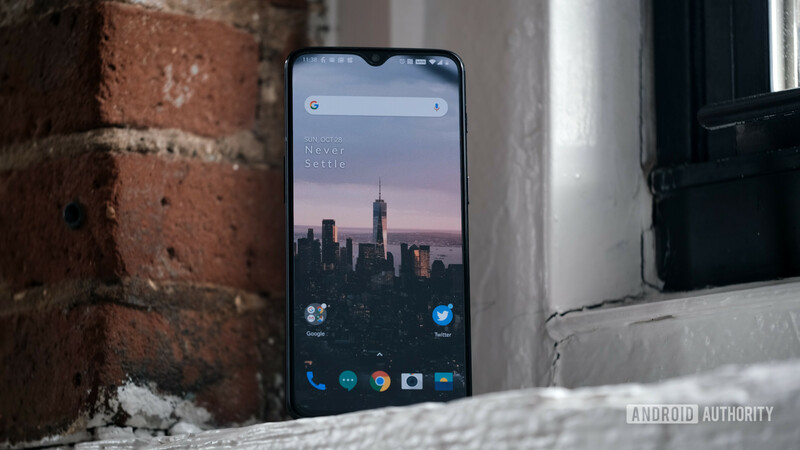 OnePlus made a name for itself by creating smartphones with terrific specifications which sell for a fraction of the cost of other major flagships. The upcoming OnePlus 7 should continue that trend, but what will it look like? What are its specs? How much will it cost? When will we see it? Here’s what we know about the OnePlus 7 so far. Give credit to OnePlus: its naming conventions remain dead simple. Every year since 2016, OnePlus has introduced a numbered phone followed by a “T” variant closer to the end of the year. While the numbered phones are seen as true sequels, the T variants usually include slight iterations and tweaks to those sequels. Because the most recent OnePlus phone is the OnePlus 6T, the next OnePlus phone will likely be called the OnePlus 7. As for release date, a Twitter tipster claims that we could see a May 14 launch. That said, the OnePlus 5 and OnePlus 6 launched in June 2017 and May 2018, respectively. So a May or June launch for the OnePlus 7 seems like a no-brainer. As with previous OnePlus phones, expect the OnePlus 7 to be a powerhouse of a smartphone. That likely means the Qualcomm Snapdragon 855 processor, at least 6GB of RAM, a big battery, a big display, and an improved in-display fingerprint sensor. We’re also on the lookout for a standard OnePlus 7 and a Pro model, based on the latest leak. It’s believed that the standard model will offer two rear cameras, while the Pro device could offer a triple rear camera trio. Frustratingly, there’s one feature that we won’t see on the OnePlus 7 — wireless charging. Talking with CNET, OnePlus CEO Pete Lau said wireless charging isn’t as efficient or demanded enough by customers as fast wired charging. Even Apple jumped on the wireless charging bandwagon. Lau has a point — OnePlus’ Fast Charge standard takes the OnePlus 6T from 0 to 60 percent in 35 minutes. It will take some time until wireless charging reaches those speeds. Then again, we’re seeing an increasing number of flagships with wireless charging capabilities. Even Apple jumped on the wireless charging bandwagon, starting with the iPhone 8, iPhone 8 Plus, and iPhone X in 2017. According to a OnePlus spokesperson, the company’s 5G phone will kick off a new line of smartphones that will be separate from the OnePlus 7. We’re not sure if this means the OnePlus 7 will be the last phone of its line before OnePlus goes all-in on 5G connectivity or if the company still plans to release a OnePlus 7T. Another possibility is that we could instead see a OnePlus 7 Pro 5G. A leak from April 17 posits that the OnePlus 7 Pro features a Quad HD+ display with a 90Hz refresh rate. The phone also reportedly features a triple rear camera system with wide-angle and telephoto lenses, a 4,000mAh battery with support for OnePlus’ 30-watt Warp Charge standard, USB 3.1, and a dual speaker setup. Also, OnePlus founder Pete Lau pushed out a teaser on Twitter with the tagline “Fast & Smooth.” The tagline could refer to the display’s higher refresh rate and OnePlus’ software optimizations. There doesn’t yet seem to be a consensus on what the OnePlus 7 will look like. According to a leak in January 2019, the OnePlus 7 will have a manual slider mechanism at the top that would house the camera and sensors. The problem is that the leak doesn’t explicitly show the slider mechanism — we only see a phone housed in what looks like a custom case. Also, the design choice runs counter to the current trend of punch-hole cameras, as seen on the latest Galaxy S10 phones and Honor View 20. The latest leak suggests we’ll see a standard OnePlus 7 with a waterdrop notch (seen below). But we’ve also seen several leaks showing a so-called OnePlus 7 Pro with a pop-up selfie camera. The pop-up camera could be OnePlus’ solution toward building a nearly bezel-free display instead of a slider mechanism. This so-called OnePlus 7 Pro was also spotted in Olixar’s case renders, which show off a OnePlus phone with a pop-up selfie camera. The case renders also show off three rear cameras and the retention of OnePlus’ signature alert slider on the right. Also likely is the use of glass for the rear panel, with the material also present on the OnePlus 6 and 6T. Even though glass is much nicer to look at than aluminum, the former’s not nearly as resistant to drops as the latter is. We just hope the company has a phone that stands out in terms of design. Different colors are always nice, but OnePlus tends to borrow designs from sibling company Oppo. The Find X proved that Oppo has the design chops to stand with the best of them, so here’s hoping that the OnePlus 7 doesn’t follow the copy-and-paste strategy of its predecessors. Based on these price increases, we can expect the OnePlus 7 to cost at least $569, maybe even more. We can definitely expect the rumored Pro model to come in with an even higher price tag. Even with a price increase, we’ve seen more and more flagships meeting and surpassing the $1,000 mark. The days of OnePlus being a “bargain” are over, but that doesn’t mean the OnePlus 7 won’t still be a good deal. These are all the rumors about the OnePlus 7 that we’ve come across so far. We’ll update this page as we hear more. Meanwhile, let us know your thoughts on the possibilities of the next OnePlus device. Are you still team OnePlus or do you plan to jump ship?